Life of a Catholic Librarian: Tea Time with Tiffany #101 - End of school year, and summer dancing! 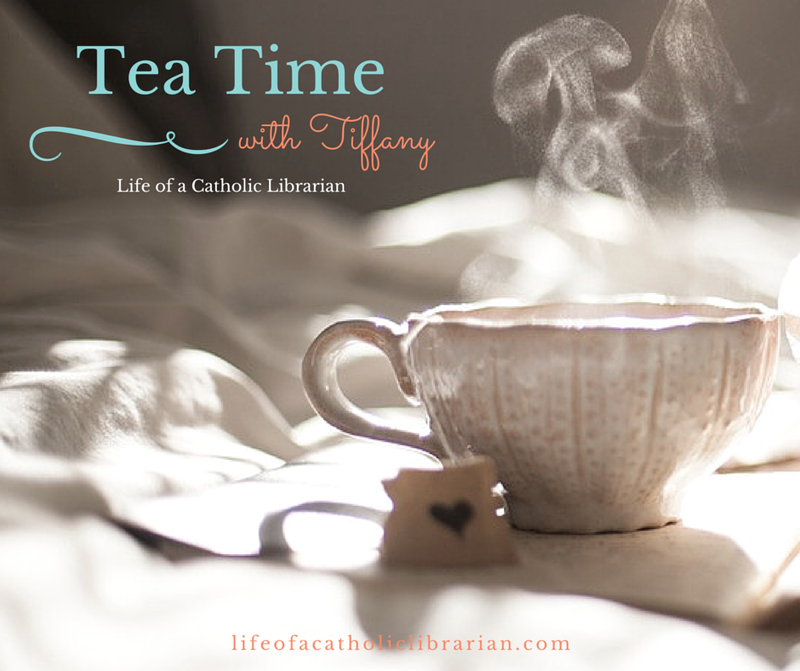 Tea Time with Tiffany #101 - End of school year, and summer dancing! Today I talk about the beginning of the summer festival season, and new choreography mishaps. There's also lots of book talk in this one, and a new novena is beginning! Happy feast of the Sacred Heart! On My Bookshelf - We've got a litany of things this week! Prayer Corner - Sacred Heart novena wrapping up. St. Maria Goretti novena starts soon over at Pray More Novenas! Creative Commons - Anne's summer "tunic." Pattern is Merridy. What creative endeavors are you up to this late June day? How are you enjoying the Summer Book Club? Looking forward to chatting with you! We are so alike! I just got the SAME Amish book out of the library and am about halfway through Will Wilder #1. (I read a LOT of children's books.) Never got to begin the Sacred Heart Novena - had just started an Irresistible Rosary and a St. Theresa novena. Will begin the St. Maria Goretti novena - was blessed to see her relics IN PERSON on the US tour this past year. Have to say that I so enjoyed the St. Francis de Sales book and now am being able to put some of it into practice. We found out Thursday my sister has cancer in both breasts. Will find out the treatment plan this coming week - they can't do surgery yet. Am trying to offer up waiting and extra driving and not being able to do what I want for the poor souls or some people who have died recently. Can anyone think of other ways I can redeem this time or disappointments? Today I was suppose to be in Kansas City accepting an award for one of my books - so I tried to offer that up for a man I'd been praying for - not sure he even knew God. But I wondered if maybe there was a better way to make this count for a poor soul or ???? All suggestions appreciated. Thanks for the prayers for my sister. Hi Donna! So happy to have you writing in regularly! And ha ha on the Amish book! We do indeed have similar taste in fiction! I adore that Amish quilt shop series. I did like the first book, obviously enough to keep going in the series, but I have to say that it has really picked up steam for me now that I am in book 4. I can't wait to see how things turn out for our characters! I'm just delighted that Angie's parents moved to Holmes County. So sorry about the rash. :( I hope that clears up soon. Allergy season has been brutal this year, so maybe it's related. I've had allergy symptoms non-stop since May. I'm so sorry that your sister is having to go through this. <3 I will keep her and you in my prayers! As for the offering up, I think you have the right approach. The time in the car, I would suggest downloading or procuring a rosary CD, and pray for all of these intentions. You could also listen to audio books that will uplift you, whether they be religious or fiction. And indeed, offer up the tasks for people you know need the boost. Perhaps keeping a journal where each day you write down the names of the people you are offering up hardships for will make it feel more concrete, if that makes sense. Writing it down also helps us to not forget anything! If classes are just about to start in Harry Potter and the Prisoner of Azkaban then you'll get to meet Professor Lupin soon. Lupin is one of my favorite characters. I picked up The Well at the library today and am excited to start reading. I also requested Will Wilder #2. I've been knitting an entrelac scarf but I'm not sure I like the way the yarn I'm using is turning out so I'm going to switch to some yarn I bought on vacation. 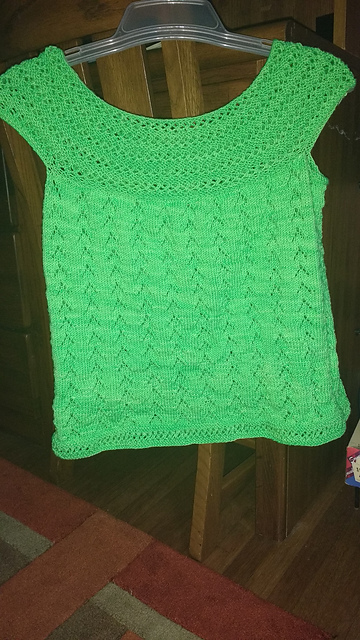 I have much less of this so it will either be a cowl or I'll have to order some more yarn. I am LOVING Prisoner of Azkaban, and yep, Lupin is on the scene, and I'm quite curious about him. Thinking there is more to him than what we are being told so far.